"Hivelocity" Reviews (Apr 2019) - Why 4.7 Stars? An industry veteran with more than 15 years of hosting experience, Hivelocity offers an impressive array of dedicated servers and luxurious components to provide customers with rich, high-powered, and custom environments. From on-site support to a stellar 99.999% uptime guarantee, Hivelocity is a great choice for business-driven web hosting. “By throwing the company's full weight into fostering its customers' success, Hivelocity has grown from a single rack of servers in a dingy basement to owning and operating more than 65,000 square feet of datacenters across the southeastern United States and Los Angeles. The Tampa-based hosting provider excels at deploying bare-metal dedicated servers while providing a multitude of performance, security, and management options that enable customers to craft the hosting environments best suited for their business needs. In addition to dedicated servers, Hivelocity also provides colocation services and cloud hosting for thousands of customers in more than 130 countries. The company currently houses thousands of servers and has room for many more in datacenters geared for HIPAA and PCI compliance and holding SSAE-16 certifications. Clearly proud of its datacenter prowess, Hivelocity is one of a few hosts that offers virtual tours and publishes live-stream videos of company facilities. We're suckers for tech-minded hosting teams who find a way to build and run their own infrastructure, and the technical expertise of Hivelocity's 65 employees is showcased by the incredible support and availability delivered to customers. With engineers just a few steps away from customers' hardware at all hours of the day and night, Hivelocity averages a 15-minute response to tickets. As with most reputable hosts, support is available 24/7 through tickets, phone, and live chat. Hivelocity, however, shines at connecting customers directly to the knowledgeable people who can quickly address an issue, rather than routing requests through a variety of employees and offices. Get started on Hivelocity now. Laura Bernheim (HostingAdvice.com): This rating is not available yet. 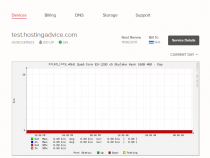 We haven't evaluated Hivelocity for the "Cheap" option yet as they do not currently offer this type of hosting service. We're always working to keep our reviews up-to-date so check back later! Does Hivelocity already offer the "Cheap" option? Let us know. “Representing the utmost in dedicated server hosting flexibility, Hivelocity offers more than 1,000 hardware configurations that customers can tailor to their specific business needs and objectives. The company deploys hundreds of servers each month, many in fewer than 10 minutes. Hivelocity servers are available with several different versions of Intel Xeon processors, with anywhere from four to an obscene 36 cores available for maximum computing power. Businesses can enjoy free inbound bandwidth, and data transfers happen between 20TB or 1Gbps unmetered speed. For those organizations that need to hit the ground running, the company has more than a dozen pre-configured server bundles ready for what Hivelocity calls instant deployment once the customer selects various software, bandwidth, and add-on options. Although the provisioning might be near instantaneous, the servers take roughly seven minutes or less to come online. Hivelocity doesn't scrimp on the instant servers, either — storage, bandwidth, and memory specs outpace many competitors at a similar price point, and all dedicated servers come with 10GB of free cloud storage space. Custom dedicated servers deploy within 24 hours and allow customers to craft cost-effective server hosting solutions. Hivelocity gives organizations about 16 base configurations to mix, match, and upgrade as needed, or customers can consult with the company's experts for free. Laura Bernheim (HostingAdvice.com): This rating is not available yet. We haven't evaluated Hivelocity for the "VPS" option yet as they do not currently offer this type of hosting service. We're always working to keep our reviews up-to-date so check back later! Does Hivelocity already offer the "VPS" option? Let us know. “Although Hivelocity does not offer a specific WordPress hosting plan, unlike many of the other hosting providers we review, the company's responsive support and premium architecture make for a solid enterprise-grade WordPress hosting option worthy of consideration. Unless customized otherwise, all servers come with storage powered by solid-state drives, which routinely show 20-times-faster performance. That speed is critical when hosting WordPress, especially at scales large enough to require dedicated servers. Hivelocity further boosts speed with a worldwide content delivery network featuring 25 points-of-presence in five continents. Heavy content, such as videos, audio, and images, can be distributed around the globe to be closer to site visitors, and site owners are charged for only the amount of data sent. The company's proprietary platform, myVelocity, helps users oversee usage and security details of their content. Calling it a content management system, however, might be a bit confusing or misleading, especially given the context of WordPress. Thinking of myVelocity as a CDN management system seems much more appropriate. Regardless, the intuitive and streamlined interface provides granular control and analytics while enabling site administrators to instantly remove or invalidate content, block access based on various geographical controls, and protect content through a variety of methods. Add in dynamic caching and origin server management, and Hivelocity's CDN is a worthy investment for large-scale WordPress installations. Laura Bernheim (HostingAdvice.com): This rating is not available yet. We haven't evaluated Hivelocity for the "Website Builder" option yet as they do not currently offer this type of hosting service. We're always working to keep our reviews up-to-date so check back later! Does Hivelocity already offer the "Website Builder" option? Let us know. All servers come with hardware diagnostics and replacement within two hours, along with network intrusion monitoring, free migrations, and up to four manual operating system reloads per month. Customers receive two 30-minute instances of best-effort tech support each month. Upgrading to the server management plan includes operating system updates and patches, performance optimization, brute force detection services, and automatic ticket creation and support in the event of downtime or failure. With Hivelocity owning and operating its datacenters, engineers are merely a few steps away from the servers they oversee. The company's knowledgeable support teams are willing to install, configure, and assist with any free ConfigServer script, ModSecurity, and a variety of security processes. Hivelocity's single-tenant cloud environments are fully customized and built after a consultation with the company's cloud engineers. The dedicated hardware comes with predictable and controlled costs, boosting security, performance, and availability. Customers can choose their cloud configuration. Private clouds are available through OpenStack, Nutanix, Proxmox, VMware, SolusVM, and Microsoft Hyper-V. Most options cover high-availability, live migration, and scaling needs. Virtual machines can be deployed in seconds on most platforms, which also feature automatic failovers, easy-to-use administrative interfaces, options for virtualization, and the lack of a controller node requirement. Virtual machines can often be networked and clustered together to maximize cloud infrastructure performance. Hivelocity's enterprise-grade DDoS protection service goes beyond router rules to implement internally developed tools in tandem with Corero Smartwall Network Threat Defense. The system monitors the network, inspects and identifies malicious traffic, and mitigates attacks by blocking the visitors and scrubbing data packets. Multiple Juniper-powered hardware firewall options stop attacks, prevent unauthorized access, and helps customers achieve regulatory compliance more easily. The firewalls, which can cover multiple servers, include an intrusion prevention system, and web filtering, along with tools for antivirus, antispyware, antiphishing, and antiadware protections. Single domain, multi-domain, and wild-card SSL certificates come with up to 256-bit encryption. Hivelocity has partnered with several certificate authorities (Comodo, GeoTrust, Symantec, and Thawte) to issue a range of domain-validated and organizational-validated credentials. Hivelocity customers who opt to use the company's content delivery network to quickly deliver content around the world will pay only for the data sent. Pricing is determined based on which server zone and how much data is delivered. The company maintains points-of-presence in North America, South America, Europe, Asia, and Australia. Solid-state drives and dynamic caching boosts performance and page loads, while origin management protects customers' servers from an overload of requests. Storing large videos and audio files on the edge renders buffering almost unnecessary. The company's proprietary content management system gives users a granular view of usage and data analytics. The intuitive and fully responsive interface works seamlessly across devices and allows customers to protect and instantly remove content, as well as blocking traffic from certain countries, states, and even ZIP codes. Even though we really enjoyed using the 2011 edition of Hivelocity,'s customer portal, myVelocity, the company gave us a sneak peek of what's to come. The sleek, modern interface emphasizes simplicity without sacrificing functionality. Customers can seamlessly manage servers and account information, access and submit support requests, as well as monitor services and reboot servers remotely. Customers can view real-time data about bandwidth consumption, CPU temperature, voltage readings, and even how many rotations per minute the fans make. Although some of the more novice hosting consumers might suffer from initial sticker shock, Hivelocity dedicated servers are priced comparably with many competitors in the upper echelon of hosting. The dedicated level of hosting always seems like a major investment, but Hivelocity includes a bevy of high-performance hardware and feature options that mostly justify the cost. Instead of simply finding the cheapest dedicated server solutions, enterprise-level customers will appreciate Hivelocity's reliability, flexibility, and experience. However, we'd like to see a few more services — namely operating system updates and patches, cPanel or WHMCS licenses, and backups — included in the standard managed hosting features. The exclusions make Hivelocity's dedicated solutions a bit more bare-metal than we'd like at the price. We understand the need for custom configurations, of course, but add-ons can get expensive rather quickly. It might be hard to imagine being able to overdeliver on a 99.999% network uptime guarantee, but that is exactly what Hivelocity has done the past three years. The company reached the pinnacle of 100% uptime in 2014, 2015, and 2016, in large part because of the company's expert on-site management of multiple datacenters. Beyond the company's supreme reliability, Hivelocity excels with personal, on-site support. With around-the-clock service monitoring and engineers within feet of enterprise-grade servers at all hours, a response to issues happens within minutes. We appreciate the included managed services Hivelocity includes with dedicated servers, including free data migration, monitoring, remote and manual reboots, and up to four manual operating system reloads per month. However, our only gripe is how a few seemingly standard services are only included in the add-on managed support plan: performance optimization, operating system updates and patches, malware scanning, and the Softaculous library of more than 400 one-click installation scripts. 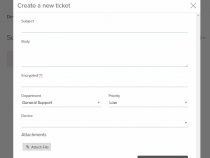 24/7/365 Support Through Phone, Live Chat, and Email Ticketing System; Free Hardware Diagnostics and Replacement Within Two Hours; Extensive Knowledgebase and 15 Minute Average Response to Tickets; Network Intrusion Monitoring. Behind a mission to provide top-notch user experiences through exceptional customer support, flawless reliability, and leading-edge innovation, Hivelocity delivers an impressive slate of services. The company, concentrating on dedicated servers and private clouds, offers rapid deployment and custom configurations while enhancing users' environments with tons of optional and proprietary services. With Hivelocity, customers can easily craft enterprise-grade architecture that delivers, stores, and protects content — all backed by a hard-to-beat network uptime guarantee and ultra-responsive, on-site support.